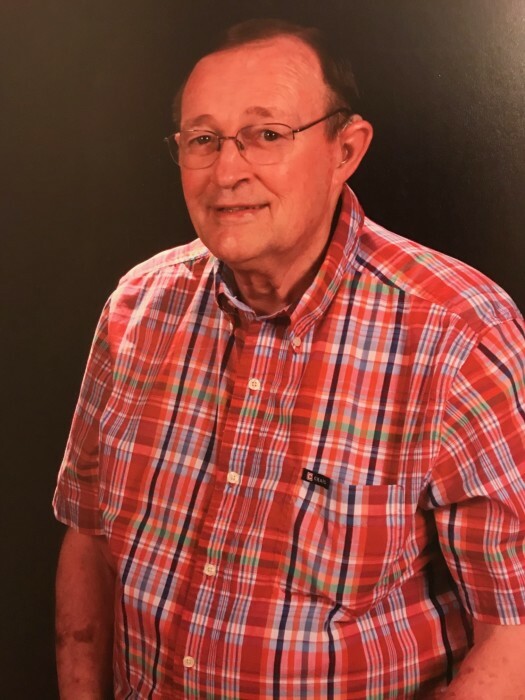 Of Jackson was called home to be with the Lord October 14, 2018 age 80 years. His wife, Lola, preceded him in death. Surviving are one son Carey (Julie) Collins of Upland, IN, one daughter Dala (Pete) Alderman of Parma, four grandchildren Samantha, Tyler, Lily, and Adam; five siblings Jim (Jeannine) Collins of Jackson, Joyce (Jim) Hitts of FL, Peter (Gail) Collins of TN, Sharon Sanford of Lowell, MI, and Ruth (Loren) Smith of Jackson, sister-in-law, Marion Collins of Jackson, MI, many nieces and nephews. He was preceded in death by his parents, Paul J. and Elaine C. Collins, sister Doris Rodgers and brother-in-law, Harold Rodgers, Brother Leo Collins, sister Esther Champion and brother-in-law, Gordon Champion, and brother-in-law, Dennis Sanford. He was a retired elementary principal from Western School District where he was loved and respected by many. He was also a longtime member of Bethel Baptist Church where he served on the Deacon Board and sang in the choir. Services will be held at Bethel Baptist Church 1691 Springport, Rd. Friday, 10:00am. The Reverends Leo Cumings and Ken Pierpont officiating. Interment Spring Arbor Cemetery. Memorial contributions may be made to Bethel Baptist Church or Western School District Elementary 5th Grade Camp Fund. Visitation at the Watson Funeral Chapel in Jackson on Thursday 2-4 & 6-8 pm and at the church on Friday from 9:00 am until the time of service.